It's Day Two of the Democratic National Convention. We have a nominee. - Denverite, the Denver site! It’s Day Two of the Democratic National Convention. We have a nominee. Jul. 26, 2016, 6:54 a.m.
Update: Hillary Clinton is now officially the presidential nominee of the Democratic Party. The party delegates gathered in Philadelphia survived the roll call vote, and Clinton’s primary rival Bernie Sanders made it official. Clinton played a similar role for Barack Obama back in 2008. There was a ton of cheering, no audible boos, and at least two votes for Clinton were cast by women who were born before women could vote at all. That’s pretty cool. A majority of Colorado’s delegation cast its votes for Sanders, as expected. Sen. Michael Bennet, who doesn’t arrive until Wednesday, was recorded as an abstention. After the nomination, a few hundred Sanders delegates walked out of the hall and occupied the media tent. 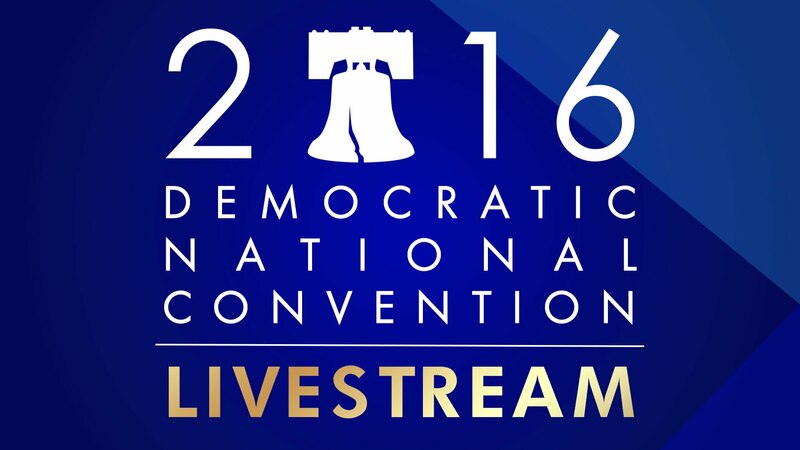 You can watch the DNC’s livestream here. Tonight’s program continues with “Mothers of the Movement,” women who have lost children to violence, many of them at the hands of law enforcement and former President Bill Clinton. Update: Sanders stopped by the California delegation Tuesday morning to ask them to play nicer. These folks supposedly were the source of the loudest and most persistent jeers for other speakers, and some of them even booed Sanders. Some delegates began to boo and yell over him, but Sanders raised his voice to be heard. Opposition to Clinton is probably stronger among the Sanders delegates, who were more committed, than among Sanders voters at large. A recent poll found that 90 percent of voters who preferred Sanders in the primary plan to vote for Clinton. At the same time, some of the more unhappy Sanders voters might never have been Democrats in the first place. Events are scheduled to get underway at 4 p.m. eastern, 2 p.m. in Colorado. Vermont Sen. Bernie Sanders did his damned best Monday night to bring along his most ardent supporters. The question for Day Two of the Democratic National Convention is whether it will put to rest the near constant booing that marred the unified image that Democrats want to present to the nation and that in fact they hope to carry into the general election. There were mixed emotions, to be sure, as Sanders told people their best chance to enact progressive policies is to vote for Hillary Clinton. Sanders got enormous applause throughout his speech, enough to drown out any jeers of the sort that greeted many other speakers. There was a lot of debate on social media about just how much booing there was, who was doing it, which networks’ audio made the booing more or less apparent. Colorado Rep. Joe Salazar, an early supporter of Sanders (who intends to vote for Clinton, but isn’t too happy about it), admitted to booing. But the speeches — from Sanders but perhaps even more so from First Lady Michelle Obama — helped change the tone. The New York Daily News even changed their front page. Those good feelings will be put to the test today with a roll call vote for Sanders and Clinton. But hey, maybe it will be cathartic. The plan calls for Vermont, Sanders’ home state, to vote last and formally secure Clinton’s nomination. Former President Bill Clinton speaks tonight, as will the “Mothers of the Movement,” women who have lost their children to violence, often at the hands of law enforcement.